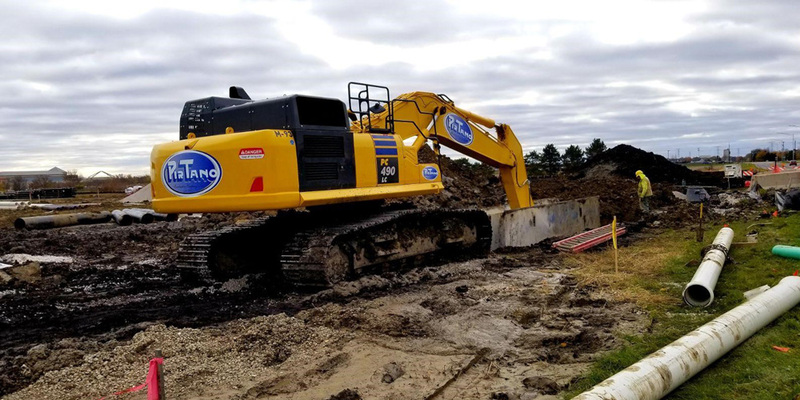 To meet demands of working in the Heavy Highway Construction Industry PirTano owns over 100 pieces of equipment including; large and small backhoes, track loaders, dozers and rubber tire end loaders. No matter the brand name; Komatsu, Caterpillar, Bomag, John Deere or Mack, PirTano has ALL THE EQUIPMENT required to get the job done. Over 125 trucks and trailers make up the fleet moving our people, equipment and parts to and from the job sites. 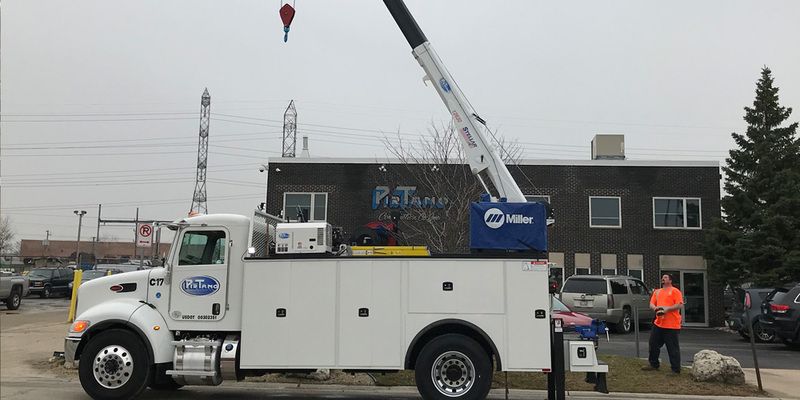 Whether it is a steel trench box, stone box, steel plate, pump, generator, heavy equipment attachment, drill, cut off saw, and or testing equipment we have what is needed for every job, no matter the site conditions. Essential to our Communications Division is the fleet of Directional Bore Machines. 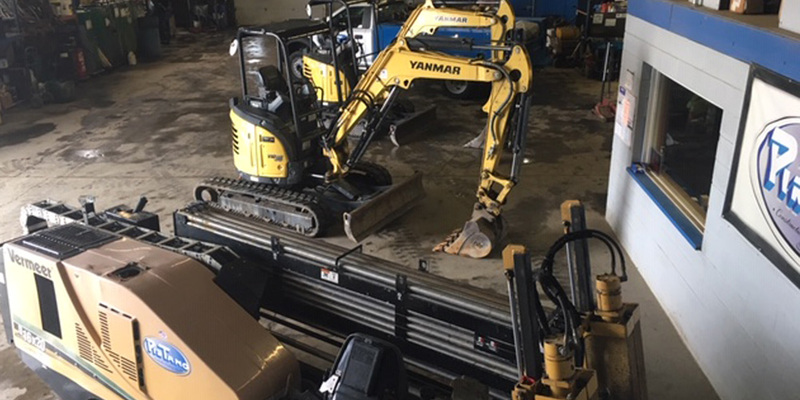 To complement the boring equipment, we have the necessary backhoes, trenchers, plows, skid steers, and mini back hoes to get the job done. 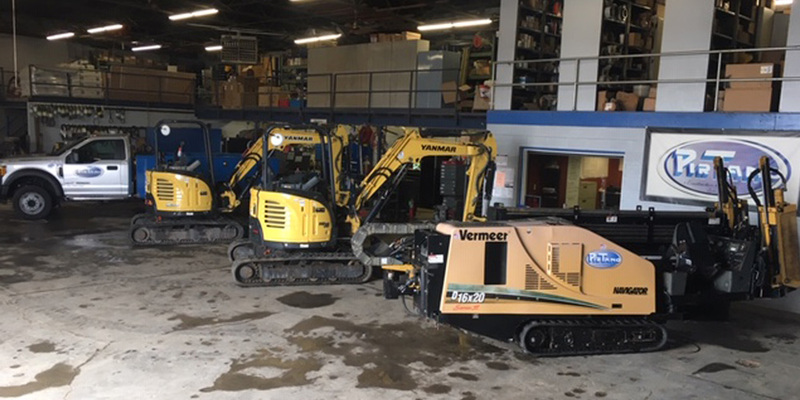 We are constantly updating our fleet with the newest technology from companies like; Vermeer, New Holland, Yanmarr, and Kubota. 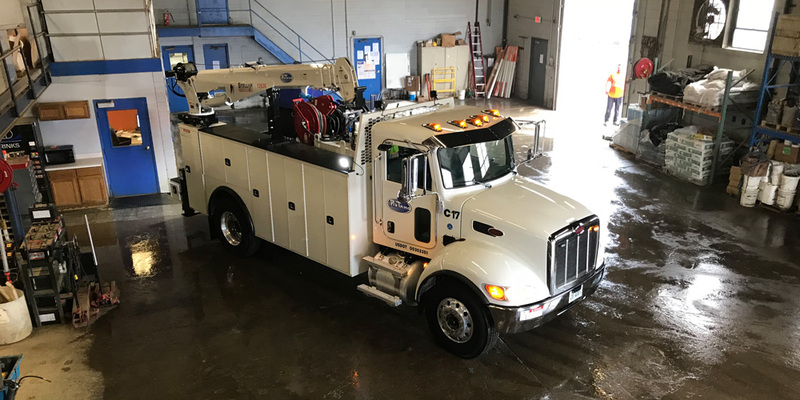 The Communications Division requires some specialized trucks and trailers to complete the job including; bucket trucks, vac excavation equipment, cable pulling trailers and reel carriers. 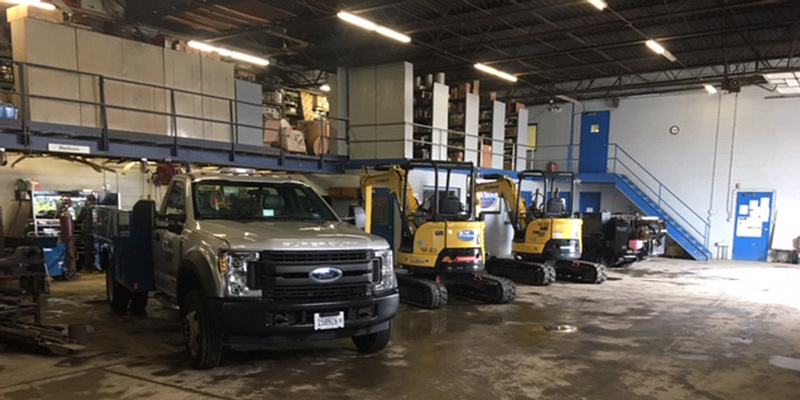 To support our field construction operations PirTano runs 2 shifts of fully trained and certified auto/diesel/heavy machinery mechanics allowing us the capability to perform most maintenance and repairs in house. 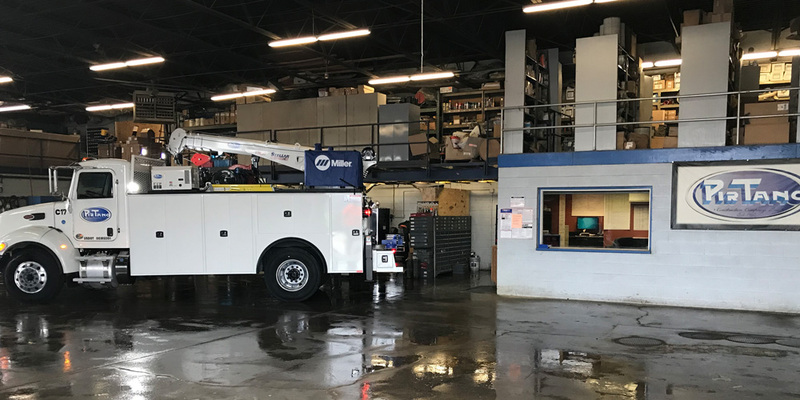 We also have two mobile repair trucks giving us the ability to repair machines and equipment in the field reducing downtime and keeping the projects on track. 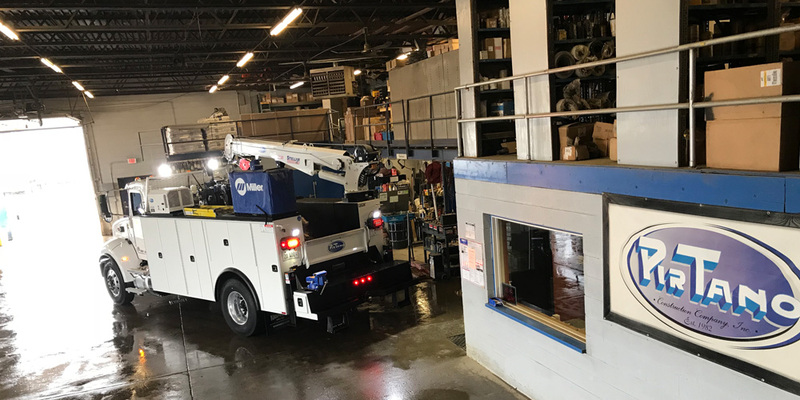 Our field operations are further supported by highly competent mangers and a dedicated staff of shop employees who work efficiently to get essential material, parts and equipment to the job sites. Vac excavation is a non-destructive method of excavation that uses pressurized water to agitate the earth and a powerful vacuum to remove debris and safely expose existing underground utilities and pipelines. 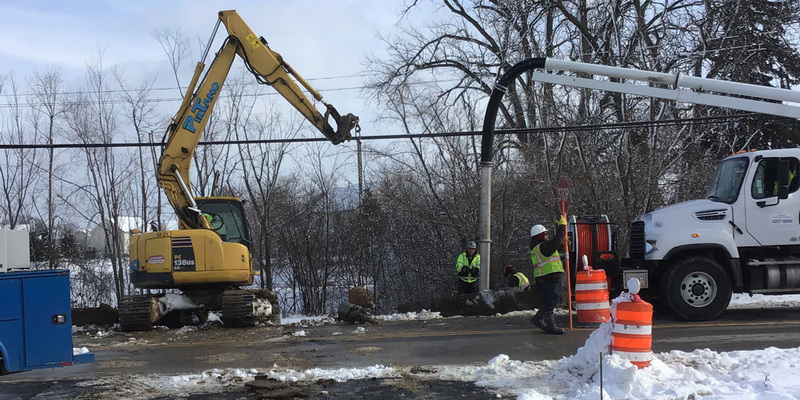 Vac excavation provides a safe and efficient process to identify grade conflicts when installing new utilities around existing gas, electric, telephone & any other sensitive infrastructure. Also used to clean out silt, mud, and debris from existing manholes, catch basins and any sub surface structures. This piece of equipment has become “ A MUST” for all Underground Contractors to prevent costly damage to existing utilities and keeping your workforce safer.